A couple of weeks ago, we headed back to Disneyland Paris for a 4 night holiday. It was our 5th visit in total, and our 2nd of 2018 - that probably seems a bit excessive to some but we all love Disneyland Paris and holidays there as a family really suit us with the boys current ages. It's something we all really enjoy and it's the perfect distance away - not too far to travel but still far enough to feel like an adventure! We took the Eurostar from Ebbsfleet which is definitely our preferred method of travel so far as the train only takes a couple of hours and takes you straight to the park gates. At the start of 2018 we bought Infinity annual passes to enable us to take advantage of up to 50% off Disney hotel prices, as well money off in the on site restaurants and shops too. The idea of having the passes was to be able to enjoy 3 or 4 trips there this year, and we wanted to try to experience the different themed seasons on offer. We visited for Season Of The Force in January, which we'd seen before last year but still enjoyed...and the next season on offer was The Festival Of Princesses And Pirates. This was a brand new themed celebration for 2018 so we had no idea what to expect from it when we booked. The festival ran from the end of March through to the end of May, and we visited for the penultimate week - we'd never visited Disneyland Paris in May before and I was worried that the warmer weather and longer park hours would mean it was far busier than we were used to (we usually visit in the winter month when the parks are open from 8am-8pm, but in May it was open 8am-11pm) but it was actually fine. Slightly busier than we'd see in January, yes but not unbearable at all - the ride queues were between 10 minutes to 45 minutes long generally, but with planning we managed to avoid queuing for longer than 15 minutes at a time. Because of the longer opening hours, we felt we could take the days far easier and not rush around so much which was really nice. Usually I insist that we make the most of extra magic hours (exclusive early access to certain rides before the official park opening times, reserved only for Disney hotel guests and annual pass holders) every day and this can be a pain as my children are not early risers! But because of the extended hours, I didn't worry about this - instead I let the boys sleep in as long as they wanted in the mornings and we headed to the parks around noon each day and stayed until the park closed. This suited them much more, and meant we could take full advantage of the far quieter ride queue times from around 7pm onwards. During the festival, there were some additional parades and performances going on in the park on top of the usual daily parade. These were the Princess Promenade - which was basically just Sophia the First and Elena Of Avalor walking around the castle with some dancers, waving to guests and dancing a bit. It was nice to see but we only watched it once and that was plenty - there wasn't a great deal to it, however it was nice to see Disneyland Paris showing some of the more modern Disney characters I guess as these can be quite rare to see in the parks. The other was the Battle Of Princesses & Pirates - this was something new and very different for Disneyland Paris. It was part parade and part performance, and honestly was really something special! 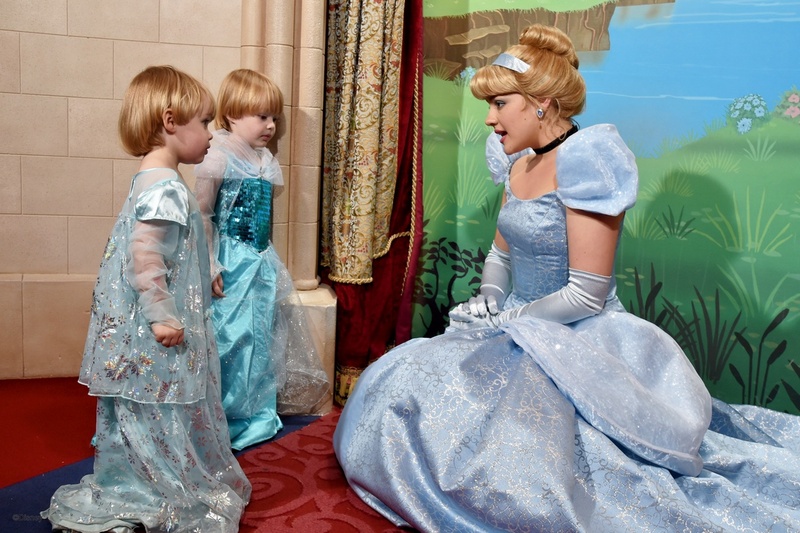 The idea was that the Princesses and Pirates were on different teams and you, as the guest, were to choose your side. The parades were on 4 times per day, when the Princesses would make their way along main street from one end and the Pirates from another (they would alternate the way they travelled with each show) - they'd each stop at a certain point (either part way down Main Street, or at the Castle stage) and perform a show. These would be at the same time so you had to choose your side and decide which one to watch! The Princesses were my favourite but they were both amazing and you have to go to more than one parade so that you can enjoy both! After the mini show, they got back on their floats and continued along to the area right in front of the castle were they all performed a sort of face off show-battle! This was really spectacular to see - the song was so catchy, the dancing was amazing, the pirate acrobatics were brilliant and there was just so much going on that it really was like being caught in the middle of a Disney movie! It felt so much more immersive than the usual parades, especially when you stood at the castle performance area with it all going on around you and with the beautiful Disney castle as the backdrop. There was also a performance with Jack Sparrow called "Hoist The Flag, Mateys" which Tyne was keen to see but this was the only let down of the programme - the show itself was fun enough but the mix of the French & English language didn't really work in such a short show, I think alternating performances would be a better option. The area the show was held in was also problematic - it was difficult to access, and the idea of children being allowed down the steps ahead of the parents was a flawed one where young children reluctant to leave their parents sides (mine!) and pushy grown men are concerned - definitely a low point which was a shame, as Tyne is a huge Jack Sparrow fan and had been really looking forward to seeing his hero. I do think that Jack Sparrow should have been used more in the theme, making an appearance in the Princess & Pirate parades too. On top of these special performances, the usual 5 pm Parade was running and is always lovely to see. The 25th Anniversary show was also still running, and Mickey & The Magician had recently returned too - I'd seen this before but just had to watch it again, it is just amazing - definitely one not to miss!! And to top off the day, there's the Illuminations each night at park closing - we have access to a VIP viewing area for these and the main parade because of our annual passes, which means we can arrive just before they start without needing to queue for a good spot. We managed to sit right at the very front of the crowd, directly in front of the castle - it was really fantastic and the boys loved it. We tend to only watch the illuminations once each visit as then we can take advantage of the low ride queue times on the other evenings when everybody else is holding their spot for the show! As for Meet & Greets, we tried to focus on just doing ones we hadn't done before - the queue for the meet & greets were all quite long, and we changed our minds about a few because the lines just looked too long. We went to check the queue for Winnie The Pooh and it was at least an hour wait, so we abandoned that one as the boys don't actually know the character anyway! The ones we did queue for were Aladdin (waited around 30 minutes), Peter Pan & Wendy (waited around 45 minutes), Daisy Duck (we got lucky at this one and only waited around 15 minutes) and Jessie (the queue for this was always quite low while we were there, we waited around 15 minutes but I saw the queue even lower than that on other days). 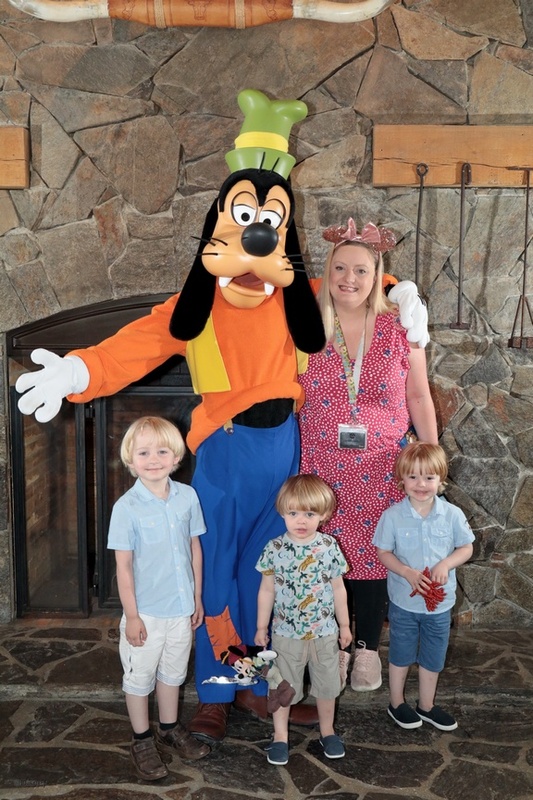 The boys love doing character meet & greets and see it as one of the highlights of going to Disneyland Paris, so they are usually reasonably happy to wait - we always take snack packs with sweets in to give to them while they queue which helps to pass the time, though. 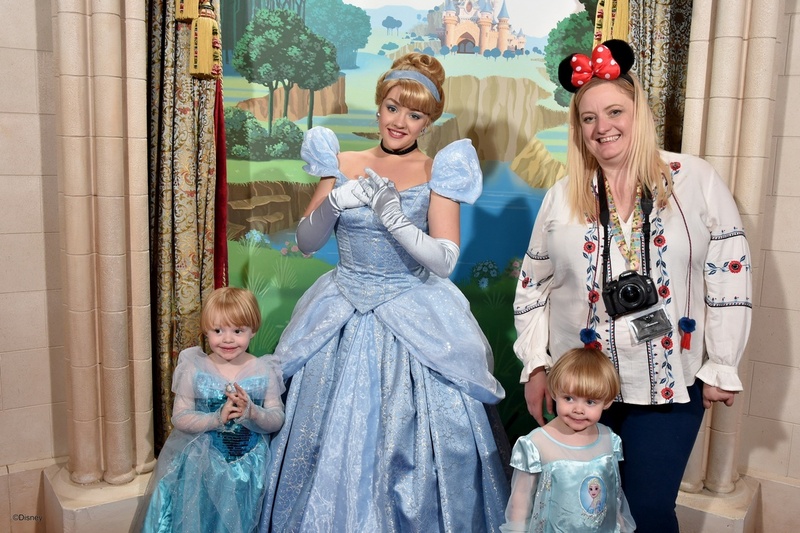 On past visits we've done character dining, which is a great way of meeting 4 or 5 different characters without queuing - it can be quite expensive though and as we wanted to do this trip on a budget, we decided against it this time. We did also go to the character meet & greets at our hotel in the mornings too, where the boys met Goofy and Mickey Mouse. This seemed to be hit and miss with queue time - the queue for Mickey Mouse was around 40 minutes long, but for Goofy we waited less than 5 minutes. As for Princesses, we only managed to meet Cinderella this time - the Princess Pavilion had started to list which princess was inside on our last few visits and this enabled us to decide if the Princess on offer was worth the always long wait times, but during the Princess & Pirate season they'd stopped announcing who it was...saying it was a "surprise". I do find this quite annoying as there are some Princesses my children would happily queue for, and others they wouldn't. We decided to just do it once, as the wait time is usually at least an hour. We managed to get lucky and got there when it was just 45 minutes - the queuing isn't too bad there as there are things inside for the children to look at and they loved the magic mirror! 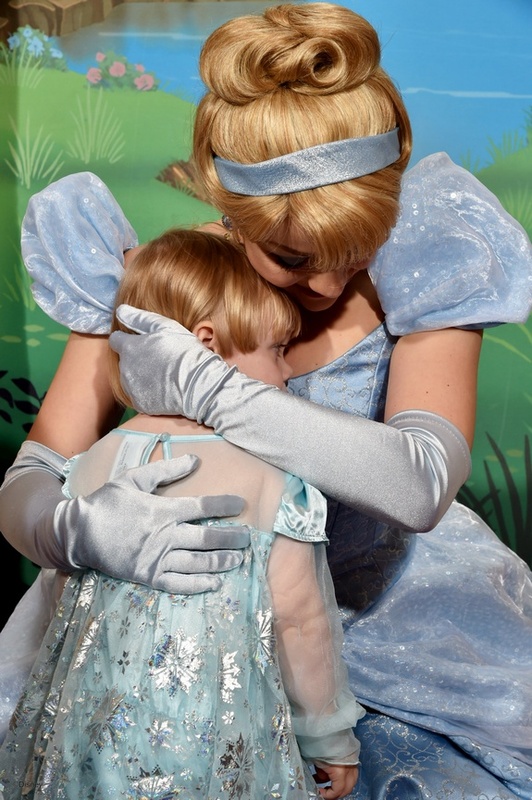 Cinderella was really lovely with them, and they got a good amount of time with her which was nice. We did all of the usual rides during our visit - the haunted mansion and Crushs Coaster were closed for refurb, but we did most other rides. The boys each have their favourites (Pirates Of The Caribbean for Tyne, Flying Carpets for Noah and Its A Small World for Sailor) so we did those quite a few times! As for our hotel this time, we stayed at the Hotel Cheyenne which is Tyne's favourite place to stay. He loves the cowboy theme and I have to admit, I do think it's probably the most fun of all the Disney hotels when it comes to theming for children - it really does look like a wild west town and the Toy Story themed rooms are fun. The hotel was doing pony rides each morning which ran outside our block, this was really handy as the boys loved having a "cowboy ride" each morning before we headed to the park. It was a nice start to the day! As for food, I'll talk more about that in another post later this week as I want to talk about managing a trip to Disneyland Paris on a budget - but we did decide on a whim to visit Buffalo Bills Wild West Show, we got a good discount on tickets with our Infinity passes and Tyne was really keen to see it again. The food there is always really good - Noah & Sailor aren't supposed to be given their own meals as they're under 3, but they always end up being given their own food when we eat there which is really nice. The food for children is a plate of new potatoes, sausage, and chicken leg followed by ice lollies. The adults food is tortilla chips, corn bread and chilli for starters and then wild west potatoes, ribs and sausage followed by apple pie and ice cream. I opted for the vegetarian meal as I don't really like meat, and I was pleasantly surprised by my meal - I had vegetarian chilli to start, with a main meal of cheese filled pasta, corn on the cob, mixed veg, wild west potatoes and marinara sauce. It was a huge portion and absolutely delicious too! The show itself was amazing as always, it's such a fun night out. All in all, we had another incredible week at Disneyland Paris - I think it was one of our best visits so far! The Festival Of Princesses & Pirates was amazing, and Disney have just announced that they'll be bringing the festival back again next year so I highly recommend a visit! Hopefully we'll be heading back to DLP in a few months time for Halloween season which is my absolute FAVOURITE favourite time to go. I just can't get enough of the place! I'll be back on Friday with a post all about how we managed to do Disneyland Paris on a budget.